Potty training, puppy training, socialization skills, basic training, Canine Good Citizen, behavioral issues, you name it and I will help any way I can. 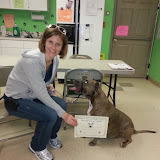 We will also discuss ways to achieve a well balanced dog and teach you the owner about understanding dog behavior. ​which options may be best or get you on our schedule. 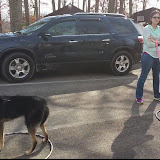 ​all others handled by our non profit S&D k9 Rehabilitation. Charles County, Prince Georges County, St. Mary's County, Calvert County, Montgomery County, DC and Northern VA.
would like to find training, volunteering & foster opportunities at your local shelters. To schedule a training class or for more information you can email us.